Diving with Whale Sharks is one of the most profound wildlife encounters you can experience. Whale sharks are the largest fish in the world, but they are gentle and beautiful creatures. Diving with Whale Sharks is an excellent adventure for those who aren’t quite ready for more intimidating shark species, although it is also a wonderful experience for any diver who loves to see marine life up close! If a whale shark dive is on your bucket list, here are a few great dive options to consider. 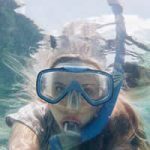 Planning a winter dive trip? Head to Cabo San Lucas for a guaranteed whale shark experience! You will be likely to get a coveted whale shark encounter if you visit this area between October and March. Many shark and whale species can be seen around Cabo at this time of year so you can do a whale shark dive one day and a hammerhead dive the next. Beautiful Oslob, Cebu is perhaps the most famous of whale shark dive destinations. Each year between November and June, the bay is visited by whale sharks who come to feed on the plentiful krill and plankton. Aside from the whale shark encounters, there is a lot to love about diving Cebu. The crystal-clear water around Oslob is filled with a variety of sea life, including turtles and large fish! It is worth noting that diving with whale sharks in Oslob is somewhat controversial. Guides often toss food to the whale sharks from the boat, which interferes with normal feeding patterns. If you are not comfortable with this, it may be better to opt for a whale shark snorkel experience in Donsol Bay. One of the best whale shark dives at any time of the year is South Ari Atoll, near Sun Island and Rangali in the Maldives. Although it is best in November, December, and May, you can expect to meet whale sharks during any month. This region has excellent diving options, from deep sea to wrecks and reefs. This is an awesome destination if you like to do a variety of dives during your vacations. Head to Cerderawasih Bay in West Papua for the ultimate Indonesian whale shark dive! This destination is a treasure chest of marine life. Because it’s not very crowded, you will have plenty of space to roam the open ocean. 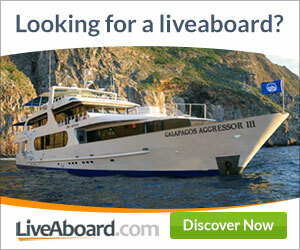 In order to dive with whale sharks, you will have to embark on a liveaboard and head out to sea. You’ll be able to find whale sharks at any time of the year, and you might also see dugongs and dolphins while you’re at it. 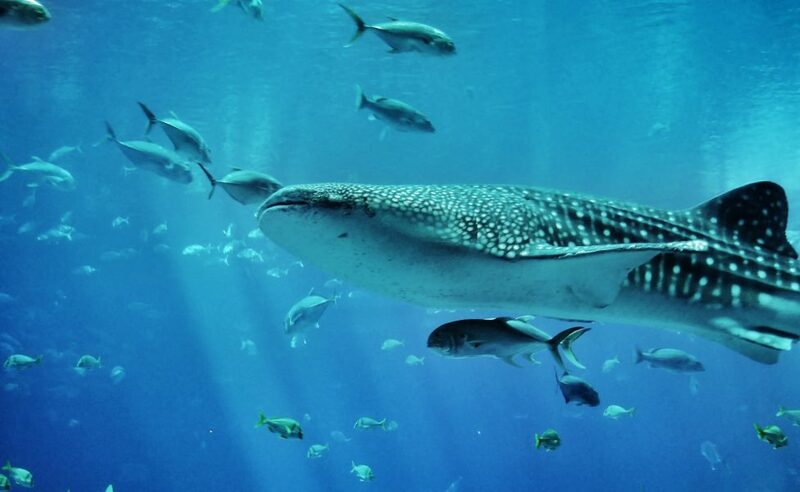 Between June and December, you have a very good chance of encountering whale sharks in the Galapagos Islands. Be sure to bring your camera, because you will have an excellent view of these incredible creatures through the clear tropical water. A whale shark encounter is one of the most otherworldly experiences you can have! This is a wonderful way to get up close with some of the largest creatures in the ocean. Why not plan a whale shark dive for your next big trip?